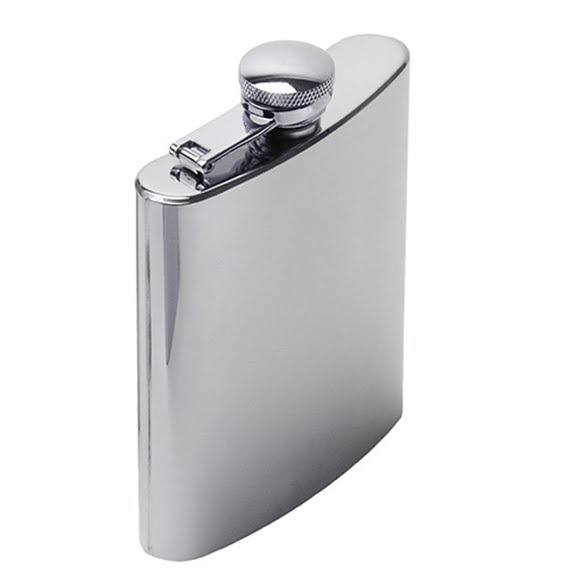 GSI Outdoors Glacier Stainless 6 oz Hip Flask features a durable polished Glacier Stainless finish for a lifetime of reliable use. A Screw-down, hinged top and filling funnel assure that you won't waste a drop of your favorite beverage. GSI Outdoors Glacier Stainless 6 oz Hip Flask features a durable polished Glacier Stainless finish for a lifetime of reliable use. A Screw-down, hinged top and filling funnel assure that you won&apos;t waste a drop of your favorite beverage. Measurements 5.10" x 3.60" x 1.00"